This article is about the digital television standard. For the development bank, see Islamic Development Bank. The Integrated Services Digital Broadcasting (ISDB; Japanese: 統合デジタル放送サービス, Tōgō dejitaru hōsō sābisu) is a Japanese standard for digital television (DTV) and digital radio used by the country's radio and television networks. ISDB replaced NTSC-J analog television system and the previously used MUSE Hi-vision analogue HDTV system in Japan, and will be replacing NTSC, PAL-M and PAL-N in South America and the Philippines. Digital Terrestrial Television Broadcasting (DTTB) services using ISDB-T started in Japan in December 2003 and in Brazil in December 2007 as a trial. Since then, many countries have adopted ISDB over other digital broadcasting standards. DiBEG was founded in September 1997 to promote ISDB-T International, the Digital Broadcasting System, in the world. MPEG-2 is a standard for "the generic coding of moving pictures and associated audio information". It describes a combination of lossy video compression and lossy audio data compression methods, which permit storage and transmission of movies using currently available storage media and transmission bandwidth. While MPEG-2 is not as efficient as newer standards such as H.264/AVC and H.265/HEVC, backwards compatibility with existing hardware and software means it is still widely used, for example in over-the-air digital television broadcasting and in the DVD-Video standard. MPEG-4 is a method of defining compression of audio and visual (AV) digital data. It was introduced in late 1998 and designated a standard for a group of audio and video coding formats and related technology agreed upon by the ISO/IEC Moving Picture Experts Group (MPEG) under the formal standard ISO/IEC 14496 – Coding of audio-visual objects. Uses of MPEG-4 include compression of AV data for web and CD distribution, voice and broadcast television applications. There are two types of ISDB receiver: Television and set-top box. The aspect ratio of an ISDB-receiving television set is 16:9; televisions fulfilling these specs are called Hi-Vision TV. There are four TV types: Cathode ray tube (CRT), plasma display panel (PDP), organic light-emitting diode (OLED) and liquid crystal display (LCD), with LCD being the most popular Hi-Vision TV on the Japanese market nowadays. The implementation rollout in Brazil is proceeding successfully although some voice like Philips' say  that its implementation could be faster. It terms of broadcasting, the implementation plan seems to be on target. In only eight months since the start, the digital signal is present in four state capitals and by the end of 2008 another three capitals will receive the signal. On December 27, 2010, the Uruguayan Government adopts ISDB-T standard.,  voiding a previous 2007 decree which adopted the European DVB system. On November 15, 2011, the Maldivian Government adopts ISDB-T standard. As the first country in the region that use European channel table and 1 channel bandwidth is 8 MHz. 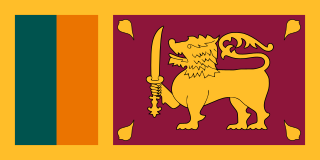 On May 20, 2014, Government of Sri Lanka officially announced its decision to adopt ISDB-T standard,  and on September 7, 2014 Japanese Prime Minister Shinzo Abe signed an agreement with Sri Lankan President Mahinda Rajapakse for constructing infrastructure such as ISDB-T networks with a view to smooth conversion to ISDB-T, and cooperating in the field of content and developing human resources. The ISDB-Tmm broadcasting service by mmbi, Inc. is named モバキャス (pronounced mobakyasu), literally short form of mobile casting on July 14, 2011, and had been branded as NOTTV since October 4, 2011. The Minister of Internal Affairs and Communications approved the start of operations of NOTTV on October 13, 2011. Planning the service with monthly subscription fee of 420 yen for south Kanto Plain, Aichi, Osaka, Kyoto and some other prefectures from April 1, 2012. The deployment plan was to cover approximately 73% of households by the end of 2012, approximately 91% by the end of 2014, and 125 stations or repeaters to be installed in 2016 to cover cities nationwide. Android smartphones and tablets with ISDB-Tmm receiving capability were also sold mainly by NTT DoCoMo, although a separate tuner (TV BoX manufactured by Huawei; or StationTV manufactured by Pixela) could be purchased for iPhones and iPads as well as Android smartphones and tablets sold by au by KDDI and SoftBank Mobile to receive ISDB-Tmm broadcasts. DVB-T is an abbreviation for "Digital Video Broadcasting — Terrestrial"; it is the DVB European-based consortium standard for the broadcast transmission of digital terrestrial television that was first published in 1997 and first broadcast in the UK in 1998. This system transmits compressed digital audio, digital video and other data in an MPEG transport stream, using coded orthogonal frequency-division multiplexing modulation. It is also the format widely used worldwide for Electronic News Gathering for transmission of video and audio from a mobile newsgathering vehicle to a central receive point. Digital terrestrial television is a technology for broadcast television in which land-based (terrestrial) television stations broadcast television content by radio waves to televisions in consumers' residences in a digital format. DTTV is a major technological advance over the previous analog television, and has largely replaced analog which had been in common use since the middle of the 20th century. Test broadcasts began in 1998 with the changeover to DTTV beginning in 2006 and is now complete in many countries. The advantages of digital terrestrial television are similar to those obtained by digitising platforms such as cable TV, satellite, and telecommunications: more efficient use of limited radio spectrum bandwidth, provision of more television channels than analog, better quality images, and potentially lower operating costs for broadcasters. B-CAS is a vendor and operator of the ISDB CAS system in Japan, largely owned by the public broadcaster NHK with some other electronics companies and broadcasters airing in BSAT. Or, the reception method that this company offers. 1seg is a mobile terrestrial digital audio/video and data broadcasting service in Japan, Argentina, Brazil, Chile, Uruguay, Peru and the Philippines. Service began experimentally during 2005 and commercially on April 1, 2006. It is designed as a component of ISDB-T, the terrestrial digital broadcast system used in those countries, as each channel is divided into 13 segments, with a further segment separating it from the next channel; an HDTV broadcast signal occupies 12 segments, leaving the remaining (13th) segment for mobile receivers, hence the name, "1seg" or "One Seg". ISDB-T International, ISDB-Tb or SBTVD, short for Sistema Brasileiro de Televisão Digital, is a technical standard for digital television broadcast used in Brazil, Argentina, Peru, Botswana, Chile, Honduras, Venezuela, Ecuador, Costa Rica, Paraguay, Philippines, Bolivia, Nicaragua, El Salvador and Uruguay, based on the Japanese ISDB-T standard. 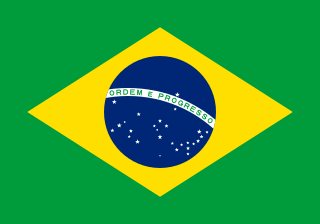 ISDB-T International launched into commercial operation on December 2, 2007, in São Paulo, Brazil, as SBTVD. MediaFLO was a technology developed by Qualcomm for transmitting audio, video and data to portable devices such as mobile phones and personal televisions, used for mobile television. In the United States, the service powered by this technology was branded as FLO TV. DVB-T2 is an abbreviation for "Digital Video Broadcasting — Second Generation Terrestrial"; it is the extension of the television standard DVB-T, issued by the consortium DVB, devised for the broadcast transmission of digital terrestrial television. DVB has been standardized by ETSI. China Mobile Multimedia Broadcasting (CMMB) is a mobile television and multimedia standard developed and specified in China by the State Administration of Radio, Film, and Television (SARFT). It is based on the Satellite and Terrestrial Interactive Multiservice Infrastructure (STiMi), developed by TiMiTech, a company formed by the Chinese Academy of Broadcasting Science. Announced in October 2006, it has been described as being similar to Europe's DVB-SH standard for digital video broadcast from both satellites and terrestrial repeaters to handheld devices. 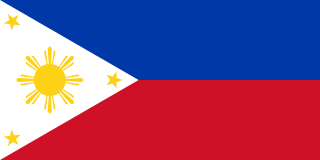 In the Philippines, digital terrestrial television (DTT) services are in development by the major broadcasting companies of the Philippines. ABNT NBR 15601 is the technical standard published by ABNT, the Brazilian Association of Technical Standards, that is responsible for addressing the aspects regarding transmission on the Brazilian Digital Terrestrial Television Standards, also known as SBTVD or ISDB-T version B.
ABS-CBN TV Plus is an encrypted digital terrestrial television provider owned and operated by ABS-CBN Convergence, a subsidiary of ABS-CBN. The service distributes digital set-top boxes, as well as freemium and free-to-view digital TV channels, Broadcast Markup Language, Emergency Warning Broadcast system, and pay per view services to select areas in the Philippines. In order to avail the service, users must buy an ABS-CBN TVplus set-top box and activate it through ABS-CBNmobile SIM. As of February 2019, ABS-CBN TVplus has sold over 7 million units of its set-top boxes. ↑ モルディブ共和国政府による同国国営放送の地デジ日本方式採用決定、日・モルディブ共同声明を公表 [Republic of Maldives decided to adopt ISDB-T, Japan-Maldives issued a joint statement] (in Japanese). Tokyo: Ministry of Internal Affairs and Communications. 2011-10-19. Retrieved 2011-10-19. 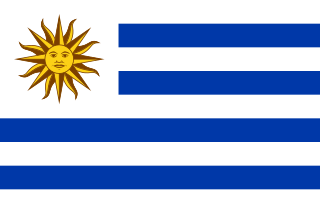 ↑ "DTT: Uruguay Regains Common Sense". Montevideo, Uruguay: ttv medianews. 2010-12-28. Archived from the original on 2011-07-17. Retrieved 2010-12-29. ↑ "Costa Rica held its first broadcast on DTT ISDB-Tb". Panorama Audiovisual. 2012-03-21. Archived from the original on 2012-03-30. Retrieved 2012-03-22. ↑ Ministry of Internal Affairs and Communications (2010-07-05). ボリビア多民族国における地上デジタルテレビ放送日本方式採用の決定 [The decision to adopt Japanese DTT system at Plurinational State of Bolivia] (in Japanese). Tokyo, Japan. Retrieved 2010-07-07. ↑ TeleSemana (2010-08-10). "Nicaragua opta por la noma brasileña-japonesa para TV digital". Archived from the original on 2011-07-16. ↑ "Botswana adopts ISDB-T". Botswana Daily News. Gaborone: Daily News. 2013-02-27. Archived from the original on 2013-06-21. Retrieved 2013-03-18. ↑ "Decision of Adoption of Japanese System for Digital Terrestrial Television Broadcasting in the Republic of Botswana". Tokyo: Ministry of Internal Affairs and Communications. 2013-02-27. Retrieved 2013-03-18. ↑ ボツワナ共和国における地上デジタルテレビ放送日本方式採用の決定-アフリカで初となる日本方式採用の決定 [Botswana decided to adopt Japanese DTT (ISDB-T) system, first ISDB-T adopt in African countries] (in Japanese). Tokyo: Ministry of Internal Affairs and Communications, Japan. 2013-02-27. Retrieved 2013-03-18. ↑ "B-CAS＊各種手続き＊" (in Japanese). Retrieved 2007-09-01. ↑ "ArchivalWare >>Login". digitalcollections.library.cmu.edu. Retrieved 2018-09-14. ↑ "NTC Philippines". Archived from the original (PDF) on 2015-11-05. Retrieved 2015-05-30. ↑ "Japan regulators favor ISDB-Tmm, not MediaFLO, for mobile TV". FierceWireless. 2010-09-08. Archived from the original on 2010-09-11. Retrieved 2010-09-12. ↑ "Japan chooses ISDB-Tmm over MediaFLO for new mobile TV network, KDDI pouts". Engadget. 2010-09-09. Archived from the original on 2010-09-11. Retrieved 2010-09-12. ↑ "207.5 MHz以上222 MHz以下の周波数を使用する特定基地局の開設計画の認定" [The licence approval of the plan to use specific broadcasting station for 207.5–222 MHz band usage] (in Japanese). Tokyo: Ministry of Internal Affairs and Communications. 2010-09-09. Retrieved 2010-09-12. ↑ "MediaFLO陣営、携帯次世代放送の認定結果に「極めて残念」" ["Too much disappointed" for approval of next generation mobile broadcasting — MediaFLO team] (in Japanese). Tokyo: Impress Watch. 2010-09-10. Retrieved 2010-09-12. ↑ "スマートフォン向け新放送局名称を「NOTTV（ノッティーヴィー）」に決定" [Decided new broadsacsting station is named to be NOTTV for Smartphone] (in Japanese). Tokyo: mmbi. 2011-10-04. Archived from the original on 2011-10-07. Retrieved 2011-10-11. ↑ "サービス名は「モバキャス」、mmbiがマルチメディア放送の具体像を説明" [Service is named モバキャス™ (Mobakyasu), mmbi, Inc explained concrete form of multimedia broadcasting] (in Japanese). 2011-07-14. Retrieved 2011-09-11. ↑ Japan appoints sole operator for mobile media, Rapid TV News, 2010-12-01 . ↑ 「テレビと呼ぶには、面白すぎる」NOTTV、4年超でサービス終了 ITmedia; published on June 30, 2016.